We humans are social animals, we believe that we are supposed to spend our time and the entire life with other social animals who are humans too or at least are supposed to be. We often enjoy the human company, but there are a few who define disliking and resistance towards the human race and makes that particular human disapprove of almost every other human that they come across. Liking other humans, interacting with them, spending time to understand them and then responding and reciprocating in a similar way, keeping the so called social status always high, is what the entire lot of humans want and proactively do. I am a human and I am pretty sure that you are a human too, you may like what I have written here and share your views in the comment section below or, on the contrary you may simply close this tab because I am writing about your fellow humans. Humans are a confused lot in totality, your thoughts? 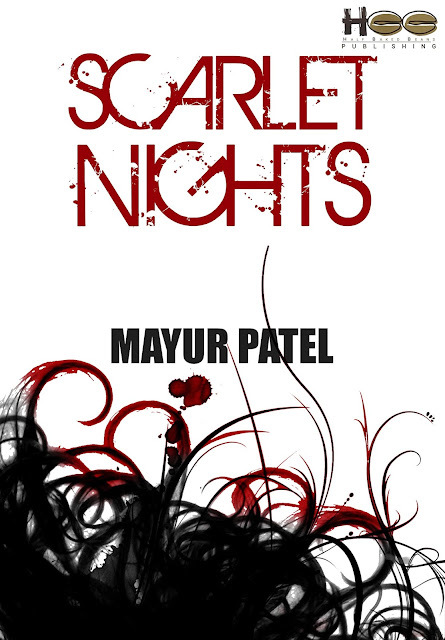 I recently read Scarlet Nights, a book by author Mayur Patel which is about humans and their situational behavior, their adventure and the lack of certainty, their liking and their experiences, their mind and it's quality to explore, exploit and be enamored at various things and many such other attributes. The story is simple, makes an attempt to convey a message without being preachy and yet you will find complexity in there which doesn't fail to engage you more. 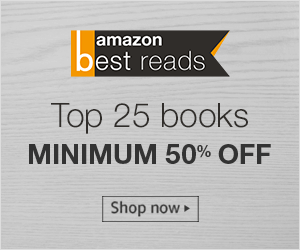 The story is about a comprehensive battle between the human mind and the human mind. Yes, you read it correct. The narration of the story starts with one of the lead protagonists, Malvika Chauhan, an ideal and almost a perfect role model for any girl who is aspirational in life and aims to make it big in life, be it at the personal front or the professional. Malvika is an embodiment of confidence and considers moving ahead in life without worrying much about the consequences. Her character conveys the message that it's okay to not have an inspirational past, but totally uncool if you don't value the present. In the middle of everything that is happening, due to various incidences, she convinces herself to accept the fact that the actions of the past influence the results of the present. Enough about Malvika, else Margita would be angry with me. Oh, you don't who Margrita is? You better know her, she is a stronger person than Malvika, both physically and mentally. She defines gut and carries insanity and craziness in her wallet. Margrita is demanding, insisting and a doer who does things just for fun. The story becomes interesting when these two characters of the story meet. As the narration moves ahead, Malvika starts forgetting about the things that she does, she faces complete frequent blackouts and realizes that her love life, work life and personal life is being derailed and she is experiencing both stress and pain, stressed because how difficult her life had become and pained because it was caused by people she knows. Margita knows everything about Malvika while Malvika doesn't know about Margarita and fails to understand the rude and insulting behavior of Margrita which is responsible for the problems she is facing. As the story continues, Malvika recognizes that there are more anonymous people in her life who know her in and out, but she doesn't know anything about them and they all are responsible for what she is facing. There are some truths waiting to be unearthed and some unheard twists waiting to happen in her life. I wouldn't want to tell you more about these characters as it would kill the suspense but, I can tell you that they are all one mysterious lot! The story of Scarlet Nights, overall is very unique, bold with an ugly and an agitated narration. The build up of the story is good, but a bit far stretched until the first twist comes into the picture, the story becomes interesting after the initial 70-75 pages. Just when you think you know what is happening, there is a twist that completely changes the situation. The story will make you question one's behavior in different situations, it is fictional yet appears very real with a message that will make you realize why we should prioritize the human in everyone of us. There is a constant juggle between human emotions and their apathy which makes this fictional psychological thriller a must read.